Even if you don’t play Fortnite battle royale, the upgrades Epic has made to the game’s netcode in the last few months are worth paying attention to. Fortnite has been receiving weekly updates since its release. 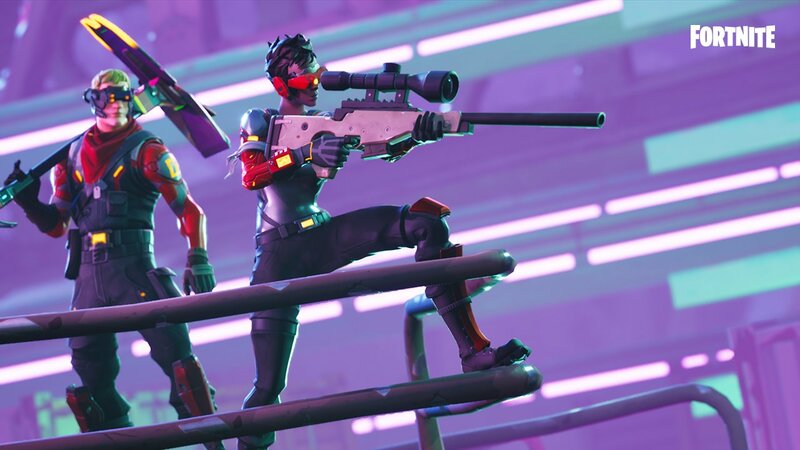 If you set aside the new content and game modes, Epic Games has been making several key optimisation changes to the engine with each update. The developer turned the game’s frame-rate from 30fps with drops all the way up to mostly 60fps, even on standard consoles. Reports have been impressed with these upgrades ever since they were implemented. It’s not everyday a game gets to double its frame-rate, but Epic has also been quietly doubling the performance in other areas. The game’s netcode, which started out running at a tickrate as low as 8hz, got upgraded to 20hz in patch 3.4. After a number of upgrades and downgrades, Epic was finally able to get the tickrate to a stable 30hz at minimum with the most recent patch, version 4.2. The client update rate has also been upped to 75/s from 50/s. YouTuber Battle(non)sense, who made a career out of analysing network performance of popular games, looked at the most updated version of Fortnite to compare and contrast. In his recent video, seen below, he investigate the effects these upgrades have on gameplay. The YouTuber was so shocked to see these results that he decided to repeat the test with different servers and at different times of day, only to reach the same conclusion. Now here’s the unbelievable part: despite having half the server tickrate of games like Battlefield 1, Overwatch, and CS:GO – Fortnite actually comes out ahead in player-to-player delay. This is also well ahead of games like PUBG, and beats H1Z1’s results, previously the battle royale game with the lowest delay. Epic even achieved this without increasing the player input lag (as a way of masking network lag, a common trick used by fighting games). Despite the upgraded update and send rates, the bandwidth used per match only saw a slight increase, and overall is still a lot less than other shooters. As he points out towards the end, these advancements, while gigantic, still don’t mean Fortnite’s netcode is perfect. The server tickrate sometimes drops to 20hz during the match, so more work could be done to try and maintain a stable 30hz. He also raises a crucial point about lag compensation. It’s still possible to get shot behind cover in Fortnite because the game’s lag compensation gives the shooter priority. Taking damage behind cover could happen for a number of reasons, such as your opponent having a very high ping, or other server issues. One would hope that some of these optimisations have also been added to Unreal Engine itself, which would help games in dire need of overhauls to their netcode such as PUBG, or future games that plan to have a high player count.